When I ran the Pinewood Derby for my son's Cub Scout Pack 468 in Trumbull, CT, I created the activity list below to help me (and the next race manager) organize the activities we needed to manage our race. This plan assumes the race will be held the fourth week of January. As the race manager, you get to delegate! I found that most parents were happy to help in this fun event. Instead of trying to manage every task yourself, break up the tasks into sub-teams and appoint a leader for each sub-team. For example, I had a “track team”, a “food team”, a “Pit team” and an “activities team”. Then create a task list for each sub-team which you can discuss with the sub-team leader. This engages the parent so the feel empowered to use their own ideas. The Track Team is pretty straightforward. Their job is to pick up the track, set it up and test it with the pinewood derby race software to be sure everthing is running. They would also be responsible for track break down when the race is over. Since our races usually spanned dinner time, we would have someone pick up pizza and drinks to sell at the race. This is the job of your Food Team. Their job is to get the pizza and drinks, handle the money and clean up afterwards. Again, petty easy but critical for creating a fun pinewood derby event. Every kid loves pizza! The Pit Crew is essential for every pinewood derby racing event. The Pit Crew pre-weighs cars and helps with last minute adjustments so the checkin process can go smoothly. Checkin is always a bottleneck, so anything the Pit Crew can do to help get cars checked in faster is a big plus. Last but not least is the Activities Team. Their job, perhaps the hardest of all, is to keep the kids busy while the race is going on. 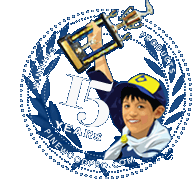 Cub Scouts tend to be excitable at pinewood derby races. This high energy causes them to run around a lot. As a result, things can get chaotic. We created a series of activities to channel this energy into something fun, like building a car stand, taking pictures against a race car backdrop, or even doing creative things like painting balloons. Once you have your Race Team, get a meeting together to review the race activities and review your Pinewood Derby Rules. Every pinewood derby race has their own set of rules. Be sure your entire team understands and agrees to the rules. Feel free to simplify the rules, if they have gotten too restrictive, or tighten up the rules if your team feels racers are taking liberties. Below is a breakdown of the race activities and who is responsible for them. Fun stuff to keep scouts and siblings busy while race is going on. Each car should have a unique number sticker that is attached to the car for identification. the number can also be or painted on the car. If you have a lot of kids, divide them up by age. You could start by racing the Tiger Cubs, then move up the ranks. When the Cub Scouts have finished races, you could do a siblings race or have an open class race for the adults. Set up the track a day or two before the race so that the kids can make a few practice runs. Bring the scale too so that they can weigh their cars. Consider holding an open class race, or unlimited race (with no rules!) after the official Cub Scout Pack race where the adults (and kids) can race unofficial cars. or any other page on this site so that others can benefit.